Despite your best efforts, is the health of a tooth compromised? Whether due to decay, trauma, or another issue, you may need a filling or crown to rehabilitate it. Now, you can restore the health and function of damaged teeth with metal-free restorations in Fort Worth. Dr. Gary N. Pointer uses the latest innovations in dentistry to improve the aesthetics, function, and health of your smile. You will enjoy dazzling results with a high-quality restoration that looks natural. Treating cavities using the traditional method involves an amalgam filling. They are made from a mixture of metals, including mercury. While they are affordable, durable, and effective for treating tooth decay they come with several disadvantages. Although they are deemed safe, there is a concern of long-term mercury exposure. Not to mention, the use of metal also makes them highly visible, which can become more apparent over time as they cause your tooth to darken. As an alternative to metal fillings, you can enjoy a tooth-colored solution. Composite fillings are biocompatible because they do not contain any metal. They are made from a mixture of fine glass and plastic particles. This also allows them to be customized to match your enamel color to blend in with your natural teeth. 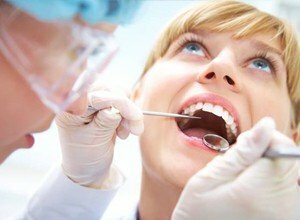 Tooth-colored fillings also improve the integrity of your tooth. They do not require wedges to be cut into your tooth to support them, allowing more of its healthy structure to remain intact. With the right aftercare, your new filling can last for several years before needing to be replaced. Crowns are very versatile, allowing them to be used for several purposes. 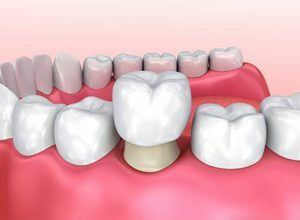 By placing the custom-made cap over a tooth, it can treat large areas of decay, breaks, or fractures. It is common for them to be used in combination with other treatments as well, like root canal therapy or a dental bridge. Traditional crowns are made from metal. Although they are durable, they are also very noticeable. As an alternative, porcelain-fused-to-metal crowns were created. While they do offer a more natural-looking appearance, they cause the gum line to darken over time. 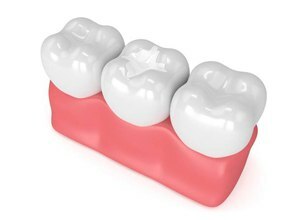 Now, all-ceramic crowns are preferred because they are customized to look like a real tooth. Your cosmetic dentist in Fort Worth, Dr. Pointer, uses a digital impression to design your crown to match the size, shape, and color of your natural teeth, so no one will be able to tell that it is there. Although the crowns are made from ceramic material, they remain as equally durable as metal restorations. Your new crown can last for an average of 10 years before needing to be replaced. If you have a damaged tooth, enjoy natural-looking solutions with metal-free restorations. Dr. Pointer creates the customized treatment plan you need to restore a healthy, functional smile. No matter if you need a new filling or a crown, or you need to have an existing one replaced, Dr. Pointer can help. Contact our office today to schedule your consultation.